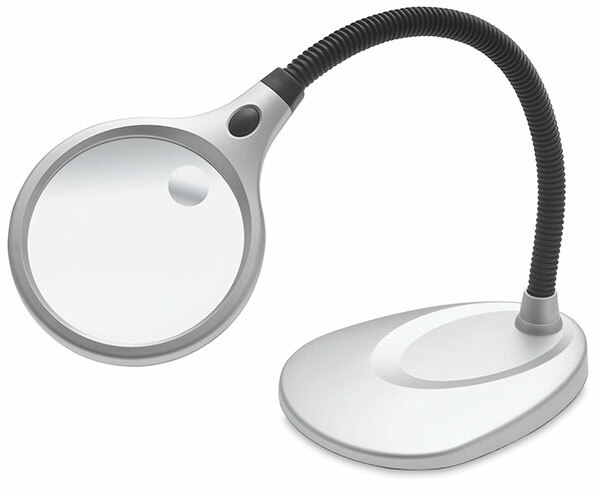 The UltraOptix Desktop Magnifier is a hands-free LED magnifier that's equally at home on desks, drafting tables, and other work surfaces. A flexible gooseneck arm lets you place the 4" diameter lens — and the light — where you need it, for 2X power (4X through the bifocal lens). A weighted base adds stability. Requires three AAA batteries (not included). ® UltraOptix is a registered trademark.